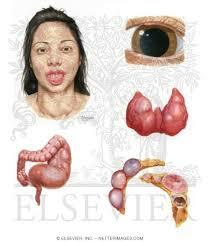 Multiple endocrine neoplasia(MEN-1) is also known as Wermer's syndrome. MEN-1 is a hereditory disorder .This type of hereditory disosorder generally passed from one generation to next generation. It affects the hormone producing glands.This disorder increases the development of tumors like cancerous and non cancerous tumors in glands.Non cancerous tumors may develop in parathyroid glands,Neuroendocrine system,anterior pituitory glands and skin. The symptoms are tiredness, bone pain, fractures and kidney stones, as well as stomach or intestinal ulcers. 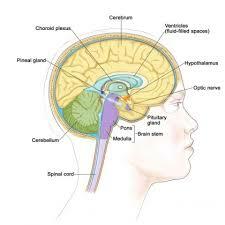 Clinical manifestations are related to tumor localizations and their secretory products. Hyperparathyroidism is the most common feature of MEN1 (95% of patients), pancreatic islet tumors or pancreatic NET (neuroendocrine tumor) occur in 40-70% and pituitary tumors in 30-40% of MEN 1 patients. In addition, other tumors, such as adrenal cortical tumors, carcinoid tumors, lipomas, angiofibromas, colagenomas and meningiomas may be present. Occurrence of de novo mutations appear in 10% of all patients with MEN1. A correlation between genotype and phenotype has not been found and, even more, combinations of these tumors may be different in members of the same family. Untreated patients have a decreased life expectancy, with a 50% probability of death by the age of 50 years and the cause of death is mostly directly related to MEN1, being the most important causes malignant pancreatic neuroendocrine tumors (NET) and thymic carcinoids.